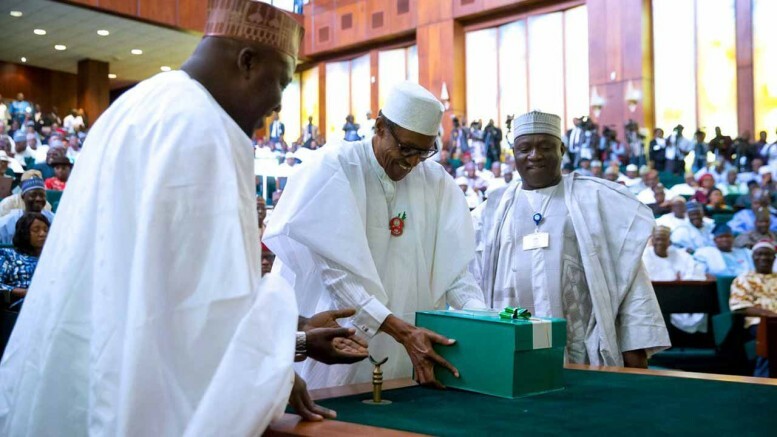 President Muhammadu Buhari (C) presenting copies of the 2017 budget documents to the National Assembly on Wednesday, December 14, 2016. The Federal Government has maintained that the benchmark for oil price in its 2019 budget remained unchanged despite the fall in global oil price. Brent crude, against which Nigeria’s crude is measured, declined from $86 a barrel in October to $58.41 on Tuesday due to growing global uncertainty that triggered equity sell-off across the world and the failure of OPEC to cut enough production to artificially boost oil price. While experts like JPMorgan, IMF, have predicted even lower oil prices in 2019 because of the trade war between the U.S and China and the projected slow down in global growth, the Federal Government has maintained that 2019 benchmark will remain $60 per barrel. In a surprise move, Saudi Arabia, OPEC’s largest producer, left its 2019 oil projection at $80 a barrel, despite U.S daily production predicted to rise to 12 million barrel per day in the new year. Suggesting that OPEC members may have plans to boost price going into the new year. The N8.73 trillion 2019 budget scheduled to be presented later today by President Muhammadu Buhari was prepared with a benchmark of $60 per barrel for 2019, $56.5 for 2020, and $56.5 for 2021. National oil production was estimated at 2.3 million barrels per day (mbpd), 2.44 mbpd, and 2.62 mbpd for 2019, 2020 and 2021. 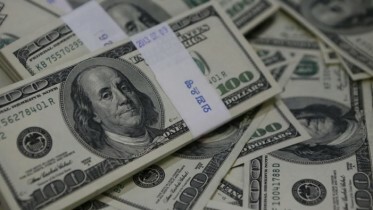 The official Foreign Exchange rate was pegged at N305 to $1 for the next three years, while the inflation rate is projected to remain constant at 9.98 per cent for 2019 as against 11.78 for 2018. The gross domestic product for the oil sector was projected at N11,163.5 billion, N10,769.3 billion and N10,183.4 billion for 2019, 2020 and 2021, respectively. While non-oil sector GDP was put at N128,489.3 billion, N143,921.2 billion and N161,017 billion for the next three years. The total GDP for the country was calculated as N139, 652.7 billion, N154, 690.6 billion and N171,200.5 billion with the GDP growth rate at 3.0 for 2019, 3.6 (2020) and 3.9 (2012). Be the first to comment on "FG to Retain $60 Benchmark Despite Record-low Oil Price"